Where to Find Probiotics Naturally? Taking proper care of your best fur friend may seem easy at first, but the more you learn about dog nutrition, the more obvious it becomes that a whole science lies behind it. As with most things, knowledge is power, and the more you set out to learn, the better chance you have at keeping your pup at excellent health for many long years to come. This article will provide beginners with a good idea of what probiotics are and what they do and set you up for success when caring for your four-legged fur buddy. When talking about dog food, dog treats, and overall canine nutrition; words like “probiotics” get thrown around a lot, but do we know what it is, and why it is good for our furry companions? 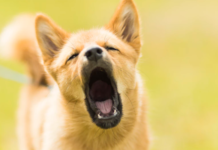 Probiotics are bacteria that are beneficial for dogs because as odd it as it might sound to the untrained ear – there is actually such a thing as healthy bacteria. These friendly microbes (yeast and bacteria) aid with digestion and boost the immune system, and they exist naturally in every animal’s body, but just like with humans – only good things come out of introducing more through the right food and supplements. The name derives from a mix of Latin and Greek, where “pro” is the Latin word for “for”, and bio is the Greek word for life. For life. 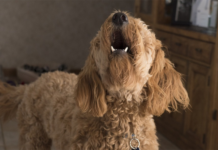 While the canine body has its own probiotics, these can sometimes become reduced or destroyed, which could cause your pup to get sick more often than usual; displaying signs of an upset stomach such as diarrhea, walking with an arched back and/or having loose stool. If these are issues you often notice with your own dog, then perhaps it is time to add some additional probiotics to his or her diet. Probiotics are health boosts for both humans and dogs, and they help avoid stomach problems, immune system disorder and more. By boosting beneficial bacteria, your dog’s body will not only become more resistant to illness and disease, but the probiotics also help create vitamin inside the body, which everyone knows has countless benefits for all living beings. Depending on what type of probiotic (because not all probiotics are the same) is introduced, you get different benefits. Some are beneficial for the immune system, others have anti-inflammatory effects, and some may aid with digestion, and many dog owners are amazed by what probiotics can do. 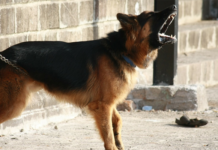 It is not a given that every dog suffers from a lack of probiotics, but providing extra will not harm them in any way, and it is one of those things that you simply cannot get too much of. There are many dog-friendly foods that are packed with probiotics, and they can either be fed fresh, or you can look for dog food products that contain these items. 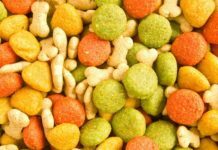 The dog food market is a jungle of pretty kibble bags, fancy logos, and extravagant promises, and it becomes a lot easier to choose good products if you know what you are looking for. Probiotics are found naturally in fruit and many vegetables, and you can feed them to your pup as a snack or mix it in with their daily meal. Bananas and apples are both rich in probiotics, and green vegetables like broccoli are equally good options. 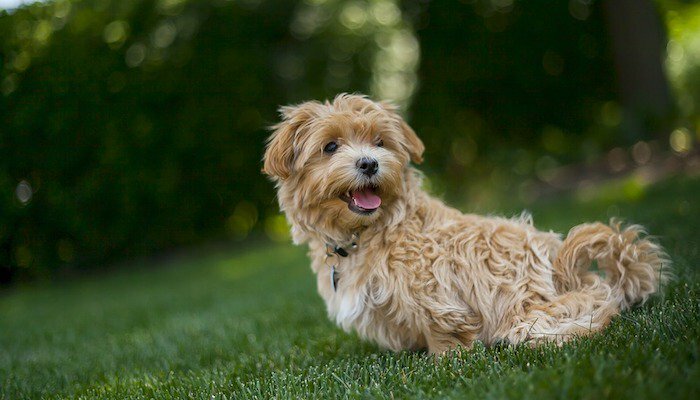 If you would happen to see your pup munching on dandelion leaves – let them! They are also rich in probiotics, which might come as a surprise to many. Probiotics are in much of the healthy food we consume, so if you think your four-legged friend might need a healthy boost – switch out some of their dog treats for apple slices or cut-up veggies. You can also feed foods like mushrooms, but just make sure you prepare them only for your dog (without salt, pepper, and other condiments), or feed them raw. If your dog is not used to eating vegetables, fruit, and other similar foods, it could take some time for them to adjust, but eating healthy is just as important for dogs as it is for humans, and it will be worth the effort and the wait. If you prefer a probiotic supplement to provide your pooch with what he or she needs – you are in luck! The canine supplement market has exploded in recent years, and there are now countless products to choose from. A liquid additive that can be mixed in with food once the capsule is opened or fed on its own if your pup is okay with swallowing pills. Few dogs will take pills willingly, and anyone who has had to force-feed medication in pill form to a dog knows how hard it is (if not impossible), but if your fur friend is cool with it – why not? Pills are an effective way to introduce nutrients straight to the digestive tract! A more modern approach to providing supplements is with small and soft chew tablets. They resemble treats and are flavored with juicy meat so that your pup will want to gulp it down without hesitation. Easy! Powders work similarly to liquid capsules, and you mix it in with your dog’s breakfast or dinner. If you want the minimal hassle – pick a dog food with added probiotics, or with ingredients that are rich in natural probiotics. What you choose depends on what you feel the most comfortable with, and what you believe to be the easiest to give to your dog. If giving probiotics feels like a hassle, the risk is that you won’t keep up with it, which will harm your pup long-term. Choose what feels right or try different options until you know what works best for you. There is no real need to memorize these, but it could be good to recognize them if you see them listed on a dog product the next time you go shopping for supplements. When dealing with probiotics, it is important to understand that they need to be handled properly. Leaving a probiotic supplement in a hot car for hours may end up eliminating the live bacteria that was originally in there – making your new miracle supplement completely useless. The same goes for use-before dates, and respecting dates of expiration is crucial if wanting to get the most benefits out of the product you plan to use for your dog. Reading product information can seem confusing, with talk about different live bacteria, strains, lab analyses and more, but just take your time and remember that nobody starts out as an expert. Some products will have several different good bacteria types or strains, but research shows that more probiotic types or strains in a product are not necessarily signs of higher efficiency, and many of the best and most praised products use only one bacteria strain. Dogs can’t tell us what they need to feel good, but we – as responsible dog owners – can try our best to foresee and provide what our furry best friends require for them to live long and healthy lives. 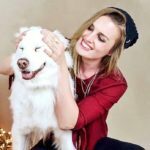 Probiotics work miracles on all living beings, and even if both humans and dogs have it naturally in their bodies – it is something you can add more of without issues. Foods that contain probiotics are naturally healthy, so consider adding fruit and vegetables that are rich in probiotics to your dog’s meals or purchase a natural health supplements (make sure they are meant for canine usage, for proper dosage information etc. etc.). A dog that feels his best will also perform his best, and it is quite amazing to think that we have the power to give our dogs the nutrients they need to reach their full potential. It is our responsibility to look out for our fur friends, and providing proper care is the least we can do in exchange for their unconditional love and affection. A dog’s gut depends almost entirely on the immune system (about 80%), which makes it logical that for a dog to stay healthy – they need a strong immune system and a functional digestion system. 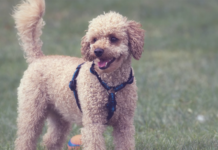 Probiotics can help your dog with this, and it gives you the opportunity to spoil your dog with daily supplements that will optimize their overall performance and capacity.